During the past decades, Argentina has repeatedly gone through financial and economic crises, both resulting from the international context and the policies implemented by its own administrations. The Tequila crisis in 1994 (the depreciation of the Mexican peso), the Plano Real (stabilisation programme implemented for controlling inflation in Brazil in 1994), the Argentine peso crisis in 2001 (after repeal of the Convertibility Law,2 which tagged the Argentine peso to the United States dollar at a rate of 1 peso = US$1), the United States sub-prime mortgage crisis in 2007 and the Greek depression in 2009. The last liquidity crisis in Argentina was caused by the repeal of the Convertibility Law. Pursuant to the Convertibility Law, banks' clients deposited Argentine pesos, which could automatically be converted into United States dollars, in the banking system. At the beginning of the 2000s, owing to the structural problems faced by the Argentine economy (loss of international competitiveness because of the fixed, artificial tag of the Argentine peso to the United States dollar at a parity of 1:1, increasing inflation, recession, fiscal deficit and consequential increase of the flow of United States dollars from Argentina), the Argentine Central Bank's foreign reserves reduced dramatically, and the financial system did not have the amount of United States dollars necessary to respond to the depositors' demand. This structural and systemic liquidity problem, caused by the government's policy on foreign exchange, was resolved by the repeal of the Convertibility Law and the conversion of the deposits in United States dollars into Argentine pesos at a fixed exchange rate. Since enactment of the Deposit Guarantee System Law3 in 1995 in response to the Tequila crisis (which created a deposits insurance regime and introduced a new, more sophisticated restructuring scheme to deal with financial institutions' insolvencies in a more efficient way) and the strengthening of the Argentine Central Bank's minimum capital, liquidity and other requirements; except for the 2000s' systemic liquidity crisis, the Argentine financial system has not suffered, nor is facing, a new liquidity crisis. After the 2000s' crisis, the Kirchner administrations ruled Argentina for more than 12 years. Despite that during the first years of their administration, the abrupt depreciation of the Argentine pesos after repeal of the Convertibility Law, and the record commodities prices prompted the Argentine economy's growth. After a few years of relatively stability, the same economic structural problems were not solved, and in many cases were exacerbated (like the fiscal deficit). By the end of 2015, Argentina was again facing a foreign exchange and foreign reserves crisis (which was contained through an increasing set of foreign exchange restrictions), increasing inflation, loss of competitiveness, recession and fiscal deficit. In December 2015, a new administration led by President Macri took office. In a very short time the new administration settled the claims from the holders of the sovereign debt, which was in default since 2001; lifted all foreign exchange restrictions; and commenced the adoption of some of the required structural measures, addressing some of the mayor problems in the economy. It still has not been able to address many others and has so far failed to reduce inflation and the fiscal deficit. At the time of writing this chapter, Argentina faces a foreign exchange crisis again, driven, mostly by foreign factors like the increase of the US Federal Reserve's interest rates and the increasing political and economic crisis in Brazil. Other local factors have contributed, such as the change of the administration's inflation expectations for 2018, an increasing issuance of LEBACs (Central Bank peso-denominated debt securities), the passing of a law by the opposition in Congress restricting the ability of the administration to increase public tariffs (which has been vetoed by the president), the approval of a new capital gains tax for non-Argentine residents and the lack of the administration's power to continue implementing the required structural changes necessary to reduce the fiscal deficit and inflation. As yet, it is unclear whether the crisis has been overcome or how will it develop. Despite the recent foreign exchange crisis, since 2015, the number of insolvency proceedings in Argentina has continued to decline, and, except for some specific cases, there are no current proceedings involving large companies or particular industries. The current struggles are more operational in nature, thereby including businesses that are facing operative losses and need operational restructurings. These struggles are largely because of the repeated loss of competitiveness of the Argentine peso. However, more recently, since April 2018 the Argentine peso depreciated by more than 33 per cent. This sharp depreciation gave rise to a new foreign exchange crisis that caused the loss of more than US$11 billion of federal reserves allocated exclusively to control the depreciation within a term of three months. The depreciation has now improved the competitiveness of Argentine products and has directly benefitted export sectors like the agricultural industry, but also caused an increase of the inflation rate, a reduction of the domestic demand and slowdown of economic growth. The Argentine federal government adopted several measures to control the crisis and requested the assistance of the International Monetary Fund. Despite the crisis having been controlled, there is still uncertainty of the future medium-term economic developments. The increase number of companies with operative problems is also evidenced in the increase of the number of companies filing for the crisis prevention procedures before the labour ministry (which have raised to 138 since 2016). This crisis prevention procedures are aimed at implementing a restructuring through the reduction of personnel in order to avoid insolvency. Insolvency proceedings are governed by the Argentine Insolvency Law No. 24,522,4 as amended, which provides for three different types of insolvency proceedings: (1) two reorganisation proceedings: acuerdo preventivo extrajudicial (out-of-court restructuring agreement, similar to pre-packaged restructurings in the United States); and concurso preventivo de acreedores (the reorganisation proceedings, similar to a Chapter 11 proceeding under the United States Bankruptcy Code); and (2) a quiebra (liquidation proceeding or bankruptcy, similar to a Chapter 7 under the United States Bankruptcy Code). The out-of-court restructuring agreement is a private restructuring agreement entered into by the debtor and its unsecured creditors classified in one or more categories. The agreement is binding, unless provided otherwise. If the debtor obtains the consent to the out-of-court restructuring agreement by unsecured creditors within each category representing, more than 50 per cent in number and more than 66.66 per cent in principal amount (the Requisite Majority), then the debtor may file the out-of-court restructuring agreement before a competent court for endorsement. in addition, following broadly accepted case law, the principal amount of the debt securities held by the noteholders not attending the noteholders' meeting or abstaining from voting, are not computed in the calculation of the principal majority. Upon endorsement by the court, the out-of-court restructuring agreement is binding on all unsecured creditors of the same categories. Filing of a petition for confirmation of an out-of-court reorganisation agreement does not have any effect on secured creditors' enforcement rights on the collateral. Reorganisation proceedings is a court-sanctioned reorganisation that is controlled by the court and supervised by a receiver. The filing for a petition for the commencement of a reorganisation proceeding is only voluntary, either through a direct filing for reorganisation by the debtor, or a debtor's motion for the conversion of a bankruptcy adjudication into a reorganisation. the debtor keeps possession and administration of its assets in the ordinary course of business; provided that, the debtor may not incur in any gratuity, or any other act that may result in the alteration of the pre-petition creditors' situation, and, without the prior consent of the court, may not undertake any act on registrable assets (i.e., real state and vehicles), lease or sale of goodwill, issue secured debt or perform any other act beyond the debtor's ordinary course of business. The debtor has an exclusivity period of 90 business days (that may be extended once for another 30 business days) within which it must formulate a reorganisation plan for each category of unsecured creditors and obtain the consent to it by the Requisite Majority. Secured creditors' enforcement rights on collateral will be subject to the filing of proof of the claim and security. Secured creditors constitute one of the mandatory categories of creditors, but any proposal to them, other than the payment in their original terms, requires the consent of all secured creditors. Commencement of a reorganisation proceeding does not itself affect the rights and remedies of secured creditors on the collateral; provided that in the event of manifest need or urgency the court may order a temporary stay of the realisation of the collateral and a temporary suspension of any injunction enjoining the use of the collateral by the debtor, in both cases for a term not exceeding 90 business days. Any interest accrued during the term of the stay or suspension not satisfied out of the proceeds of the realisation of the collateral will enjoy the preference of administrative expenses in liquidation. The liquidation may be voluntary or involuntary. A voluntary liquidation may be commenced by a petition filed by the debtor. An involuntary liquidation may be commenced by a petition of a creditor or by failure of a reorganisation proceeding. Upon commencement of a liquidation, the court appoints a receiver, who takes possession of the estate and seeks to liquidate the estate's assets and distribute the proceeds among the estate's creditors in proportion to their respective claims, according to their respective preferences. all claims denominated in foreign currency are mandatorily converted into local currency. Bankruptcy adjudication does not suspend the accrual of interest on the secured claims; provided that interest may only be payable out of the proceeds of the collateral after deduction of the court costs, any preferred interest accrued before the bankruptcy adjudication date (as described above) and principal. Upon bankruptcy adjudication, all foreclosure proceedings on credits secured with real property are consolidated before the bankruptcy court, and upon bankruptcy adjudication becoming final all individual foreclosure proceedings will be stayed. Provided that proof of the claim and privilege has been duly filed, secured creditors may request the realisation of the collateral at any time at court. The court will decide whether to admit or deny the request; if admitted, this will proceed at an ancillary special liquidation proceeding. Despite the foregoing, the receiver may request court authorisation to satisfy the secured credit in full with liquid funds available if maintenance of the collateral is beneficial for the creditors. To this effect, the court may authorise the receiver to grant other securities to the secured creditor or sell other assets. Immediately upon bankruptcy adjudication, the receiver may decide to continue the business activities of the debtor; this decision must be confirmed by the court. If the continuation is decided, during the term of continuation enforcement of collateral needed for the business exploitation is stayed when (1) the secured credit is not due as of the bankruptcy adjudication date and the receiver performs the obligations due after such resolution in due time; (2) the secured credits are due as of the bankruptcy adjudication date but the security is not admitted by a final and non-appealable resolution; or (3) the secured creditor consented the stay of the enforcement. In addition, in the case of continuation the court may also order the stay of collateral enforcement proceedings at the request of an employees' cooperative (formed for the purposes of bidding for the purchase of debtor's equity in the competitive bidding process or otherwise requesting the acquisition of debtor's equity prior to liquidation of the estate) for a maximum term of two years. Under the Argentine General Companies Law No. 19,550,5 the directors of the debtor are subject to the duties of loyalty and diligence and may be subject to liability for their violation. The duty of loyalty embraces the obligation to act with the correctness of an 'honest person' and in defence of the interests of the debtor. The duty of diligence requires, among other things, that the director possesses certain minimum qualifications (i.e., technical knowledge and expertise). When a debtor becomes insolvent, the directors' duties in relation to the creditors are strengthened. The members of the board of directors and representatives that wilfully provoked, facilitated, allowed or aggravated the debtor's economic and financial situation or its insolvency may also be subject to liability. Scholars have concluded that any express decision or omission of the directors that permits the continuation of the insolvent debtor's operations without adopting any measures directed to address this situation may result in corporate liability under the Argentine General Companies Law. Scholars and recent case law agree that liability requires wilful misconduct. Some case law has shown the imposition of a temporary restraining order on the directors of a bankrupt debtor based on the future and eventual liability actions that might be initiated against them. Pursuant to the Argentine Insolvency Law, certain transactions performed by the debtor within the clawback period are void or voidable. The clawback period is the period from, and beginning on, the date on which the debtor becomes insolvent, that is, generally unable to meet its payment obligations – and ending on the date on which the debtor files the petition for reorganisation or the date on which the debtor is adjudicated bankrupt directly. The clawback period cannot extend back for more than two years from the date immediately preceding the date of the filing of the petition for reorganisation or the date of bankruptcy adjudication, in the event of direct bankruptcy. The following transactions made by the debtor within the clawback period are void: (1) gratuities; (2) advance payments on account of debts that are due on or after the bankruptcy adjudication date; and (3) granting of security (mortgage, pledge or any other preference) in respect of debts not due and not secured under their original terms. Any other transactions detrimental to the debtor's creditors made by third parties with knowledge of the debtor's insolvency during the clawback period are voidable. The third party has the burden of proving that the transaction did not cause any detriment to the debtor's creditors. Any transactions in the ordinary course of business made by the debtor or any transactions not within the ordinary course of business and transfers made by the debtor with the authorisation of the court during a reorganisation process or during the implementation of the reorganisation plan are not subject to the avoidance action. The most relevant recent developments in insolvency law have developed after the financial crisis of the 2000s. Until amendment to the Argentine Insolvency Law in 2002,6 the out-of-court restructuring agreement was binding exclusively among the consenting creditors. Upon the reform, if the debtor obtains the consent to the out-of-court restructuring agreement by the Requisite Majority of unsecured creditors, it may opt to file it before a competent court for endorsement; upon this endorsement it will be binding against all unsecured creditors. 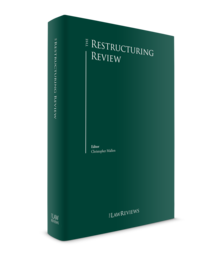 Almost all restructurings following the Argentine Insolvency Law reform in 2002 were implemented by way of the out-of-court restructuring agreement. Until the reform introduced by Law No. 25,589, the consent of all unsecured creditors was computed on an individual basis. Since the reform, the consent to the reorganisation plan or an out-of-court restructuring agreement by the holders of securities issued in series must be given at a meeting of the holders of such securities. Pursuant to Section 45 bis, for the purposes of calculating the Requisite Majority, consent to the reorganisation plan or out-of-court restructuring agreement will be computed on the principal amount represented by all those holders who have accepted the plan; all holders consenting to the plan will be computed as a single person, and all holders rejecting the plan will be computed as a single person. Since the introduction of Section 45 bis, for the purposes of computing the principal amount, in respect of the securities issued in series, the courts have consistently construed that the principal amount of the debt securities, in respect of which the holders thereof have not attended the meeting, or have attended but have abstained from voting, will be deducted from the aggregate principal amount outstanding and, therefore, from the base amount to calculate the principal majority. Except for some specific cases, there are no current proceedings involving large companies or particular industries. However, since 2016, 138 companies from different industries and of different sizes have filed for crisis prevention procedures before the labour ministry. Crisis prevention procedures are aimed at implementing a restructuring through the reduction of personnel in order to avoid insolvency. Argentina is again facing a new economic crisis, driven by high inflation, relative appreciation of the Argentine peso and a high fiscal deficit, among other factors. The Argentine economy is also currently being affected by the increase of the Federal Reserve's interest rate, the increasing political and economic crisis of Brazil and the variations of commodity prices. The relative appreciation of the Argentine peso mainly affects all industries that export products (because of the loss of international competitiveness) and all Argentine producers (because of the increase of cheaper import products). Among all industries, the sectors that have demonstrated more structural weaknesses are the shoe, leather, graphic, printing and wine industries; the dairy industry has been highly affected by reduced consumer spending and declining exports. During recent months, however, the Argentine peso depreciated considerably, therefore increasing the competitiveness of the argentine products. The largest insolvency cases during the last few years have been caused by operational losses. Among the most relevant insolvency cases during the last years, we can mention the following. Rasic Hnos SA is the second-largest poultry producer in Argentina. Between 2007 and 2011, the federal government granted 2.1 billion pesos in subsidies for poultry production, mainly concentrated on the two largest poultry producers (Cresta Roja and Granja Tres Arroyos). In 2012, the federal government extended a loan to Cresta Roja for additional 210 million pesos with a subsidised interest rate. However, on 22 December 2015, the company was finally adjudicated bankrupt, and the court commenced a process for the sale of the debtor's business to a third party. SanCor is the second-largest milk and dairy products producer in Argentina. It has been experiencing operative and financial problems during the past years, worsening during 2017. In order to overcome the crisis, and conditional on the operative restructuring and sale of SanCor's business under a plan for the restructuring and sale of SanCor's business, the federal government granted to SanCor financial aid of US$450 million, through a trust managed by Nación Fideicomisos SA. Pursuant to this plan, in order to achieve the sale of SanCor's business, SanCor committed to pursue an operative restructuring, involving the reduction of employees through dismissals and sales of operative units, and the restructuring of its unsecured indebtedness. SanCor's aggregate liabilities amounts to more than 5 billion pesos (including unsecured debt, taxes, etc.). During the past months, SanCor announced that has entered into an out-of-court restructuring agreement with 100 per cent of its unsecured creditors (amounting to more than 2,000 unsecured creditors holding an aggregate of more than 2 billion pesos) and is pursuing the sale of the business or a great portion thereof to a private investor. Oil Combustibles SA is an oil producer. The Argentine Tax Authority was claiming liabilities for more than 16 billion pesos, and the company filed for a reorganisation proceeding. As of the filing date, Oil Combustibles SA had aggregate liabilities for approximately 11 billion pesos and assets for approximately 16.5 billion pesos, with the tax authority as the main creditor. After failure of the reorganisation proceeding, the company was adjudicated bankrupt, and the court decided to continue the debtor's activities and seek a process for the sale of the company or its businesses. Argentina has not yet adopted the Model Law on Cross-Border Insolvency of the United Nations Committee on International Trade Law (UNCITRAL), and the main source of law in cross-border insolvency is the Argentine Insolvency Law; except for the treaties of Montevideo of 1889 (between Argentina, Bolivia, Colombia, Peru, Paraguay and Uruguay) and 1940 (between Argentina, Paraguay and Uruguay). Argentine law voids effects to foreign insolvency proceedings against creditors holding claims payable in Argentina in connection with the dispute of any rights of such creditors on the debtors' assets located in Argentina, or the annulment of any agreements executed by such creditors with the foreign debtor. As consequence of this general principle, before any creditor holding claims payable outside of Argentina would attempt to take any action or measure against the foreign debtor's assets within Argentina, it shall be necessary to verify the existence of creditors holding claims payable in Argentina. Scholars in general agree that such verification must be made in a court proceeding, but also agree that the Argentine Insolvency Law does not provide for a specific proceeding for this purpose. Section 4 of the Argentine Insolvency Law provides that the declaration of liquidation in a foreign jurisdiction constitutes grounds for the filing of a petition for a liquidation case of the foreign debtor under the Argentine Insolvency Law, upon which a full plenary liquidation case will be commenced in Argentina. dividend parity (pursuant to which, payment received by unsecured creditors in a foreign jurisdiction after commencement of a liquidation case under the Argentine Insolvency Law will be computed on account of the general distribution available to such creditors on account of payments of unsecured claims under the Argentine liquidation process). During the past decades, Argentina has been introducing changes to the Argentine Insolvency Law. The most relevant recent amendments are described above. 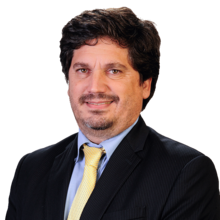 The Ministry of Justice has recently convened a number of judges, practitioners, trustees and certified public accountants) to analyse and propose an integral review and amendment to the Argentine Insolvency Law. 1 Fernando Daniel Hernández is a partner at Marval, O'Farrell & Mairal. 4 Argentine Law No. 24,522, as amended, http://servicios.infoleg.gob.ar/infolegInternet/anexos/25000-29999/25379/texact.htm. 6 Pursuant to Law No. 25,589, http://servicios.infoleg.gob.ar/infolegInternet/anexos/70000-74999/74331/norma.htm.